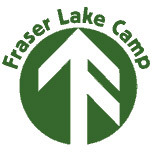 Fraser Lake Camp strives for campers and staff to experience a Christian community of acceptance and compassion. We celebrate the diversity and uniqueness of each person in the camp community. FLC is a traditional camp with waterfront activities being favourites along with biking, wall climbing, archery, etc.. Campfire and chapel are highlights of the week. FLC is located on a 260 acre private property with a great waterfront.